Test of Honour has really grabbed my attention and enthusiasm recently. I still haven't gotten a game in, but it has caused me to get back to painting the mountain of plastic Ashigaru and Samurai I had. As I am the only person I know with the game, I am trying to paint two factions but in a way that they can also be used as a single faction or a single army for another game system if I want. 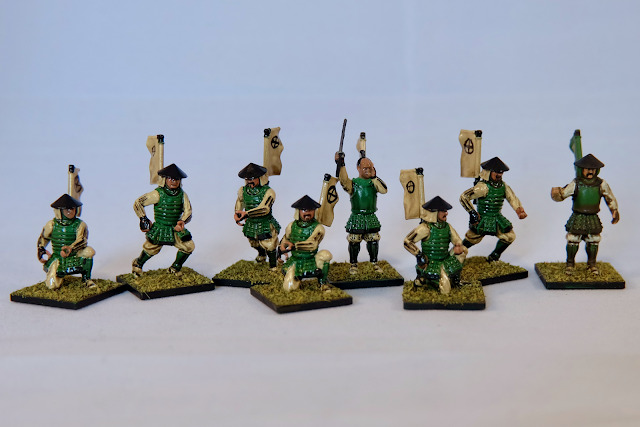 My solution to this is slightly distinctive samurai and 'unit' Sashimono (back banners) all this is somewhat historically accurate (if you squint and turn your head sideways and wish really hard). This allows all the troops to be in uniform green armor and still be identified. 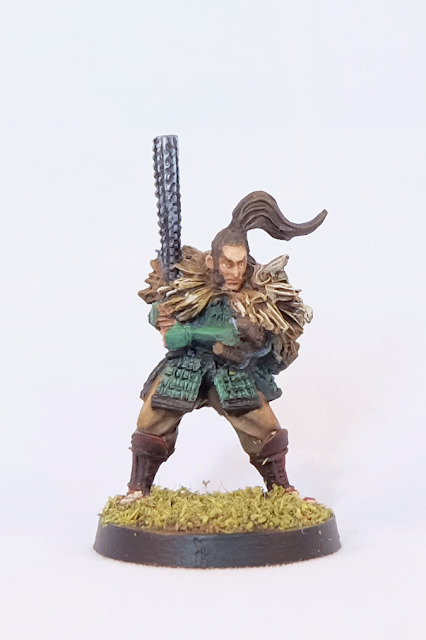 As a reward for making a solid start on the Ashigaru, I painted up Tadashi, the Ronin hero character. I am pretty pleased with the result. He needs a little more highlight and shade in the hair but it is a tabletop figure so good enough. The rightmost dude was from my first fifteen speed painted guys. The rest have been painted more recently with about the same effort although I have changed how I apply the Quickshade. In a previous post - I lamented how much of the quickshade pooled in certain areas. This time I painted the stuff on... which works a LOT better... but... I will have to pick up white spirit as getting the stuff off the brush is a nightmare and I really don't want to burn through a brush every time I paint a few minis. The figures are still pretty shiny as the weather has been too wet to get the varnish on them yet but I will be doing that soon I hope and getting on to the yumi ashigaru. 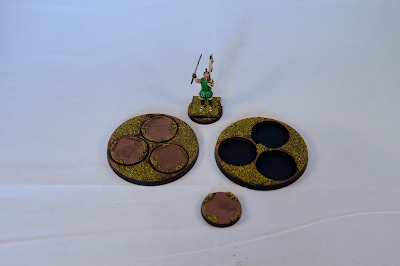 Another thing I did for Test of Honour (to save me rebasing my old Wargames Factory minis) is to try and modify the round bases so I can just tack the square bases on top. This has worked pretty well I think. 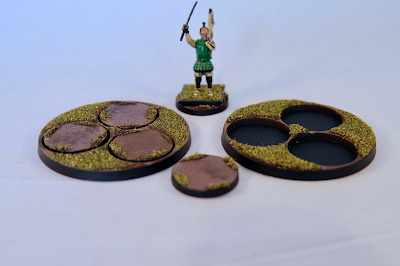 Obviously it's not as natural as direct mounting on the round bases, but as there is no 'true line of sight' or anything in ToH, it shouldn't impact game play.